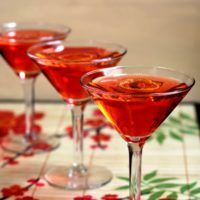 Unlike some drinks that include bitters, the Negroni actually tastes slightly bitter – or bittersweet, to be more precise. Some people love that about it, others wonder how anyone could find it drinkable. But it’s worth a try, because it can be an acquired taste. You can read more here about the taste of Campari, if you’ve never tried it yourself. It’s the primary flavor in this cocktail, although the gin and sweet vermouth both it a good run for its money. Somehow together, the combination reminds me of grapefruit. Except, it’s more like a piece of delicious, sweet-and-sour grapefruit, with a little bit of the bitter white rind clinging on. If that sounds fascinating, you need to try this drink. If it sounds repulsive, you might prefer a Cosmo, which tastes more like plain ruby red grapefruit juice with a kick. The first time I tried this drink at a restaurant, I took a sip and, if I’m being honest, thought, “What the hell–?” It was so different from the typically sweet restaurant cocktail that it took me by surprise. But I love bitter flavors, and by the end of the first drink, I was really enjoying it. 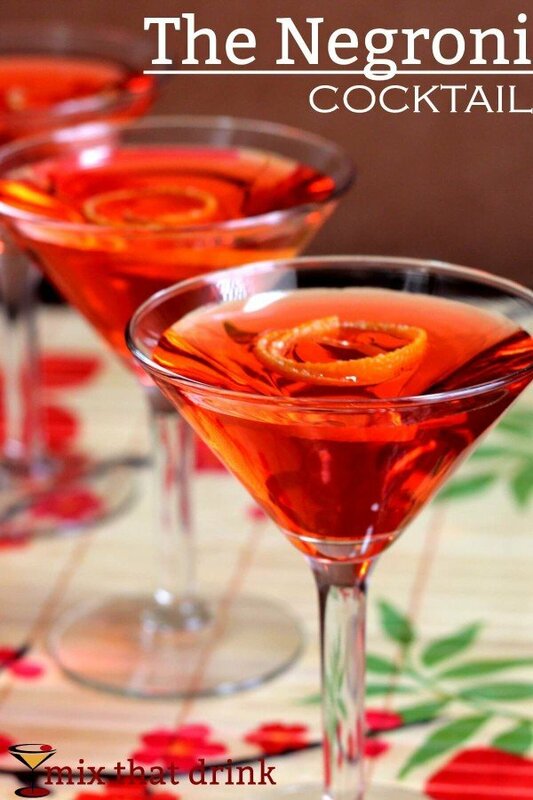 The Negroni is a lovely cocktail to have before dinner. Because it’s strongly flavored, you’ll need foods that can stand up to it. A charcuterie board with salty meats and cheeses – like blue, or even some goat cheeses- can do the trick. Anything involving bacon also works, like these Bacon Mac and Cheese Bites from The Gunny Sack, or these Bacon Wrapped Grilled Peaches with Balsamic Glaze from FoodieCrush. The saltiness of the bacon enhances the sweeter notes in the drink. The Negroni is a very simple drink recipe. This classic cocktail features just three ingredients: gin, sweet vermouth and Campari. It tastes like cherry, wine and citrus, but with noticeable bitter notes. It can be a bit of an acquired taste. Put ice in an Old Fashioned glass, and pour in the ingredients. Optionally, put ice in a shaker with the ingredients and shake until chilled, then strain the mixture into the glass.